Las Poderosas of @Virginia_LAN, @NYLatinas, @TXLatinas, & @FLLatinas talk about how they’re fighting for salud, dignidad, y justicia in their communities and changing the world! An important conversation discussing how we can combat anti-blackness within the Latinx community & beyond. A first-hand experience conversation on what it’s like to survive Cervical Cancer & the obstacles that make this preventable disease, deadly. ¡Aprende más sobre la carga pública en esta edición en español de Poderosas To The Front! A conversation on Latina/o views on contraception & abortion based on our 2018 poll! 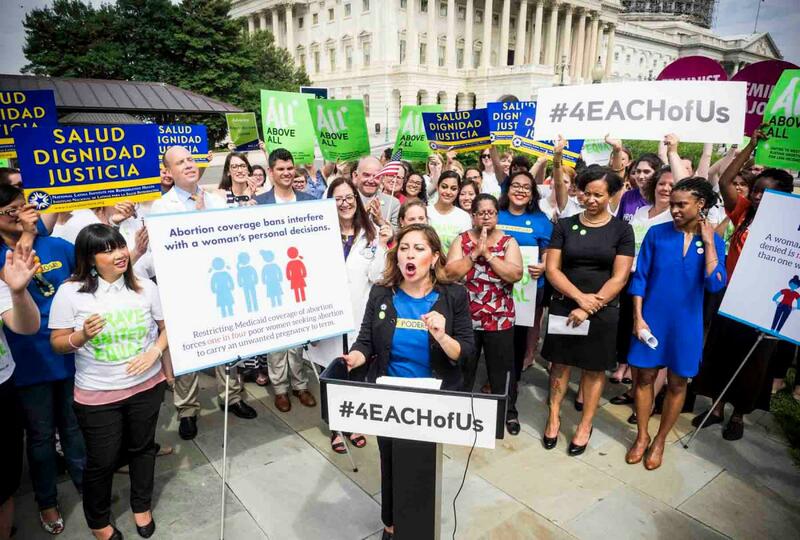 NLIRH released a new national poll on Latina/o Voter views on Contraception & Abortion. Check out our fact sheet on the Hyde Amendment and how it negatively impacts our community, along with policy recommendations to implement change. By expanding public charge, the administration is directly attacking the health and economic stability of immigrant Black, Latinx, and Asian American and Pacific Islander (AAPI) people, families, and communities.